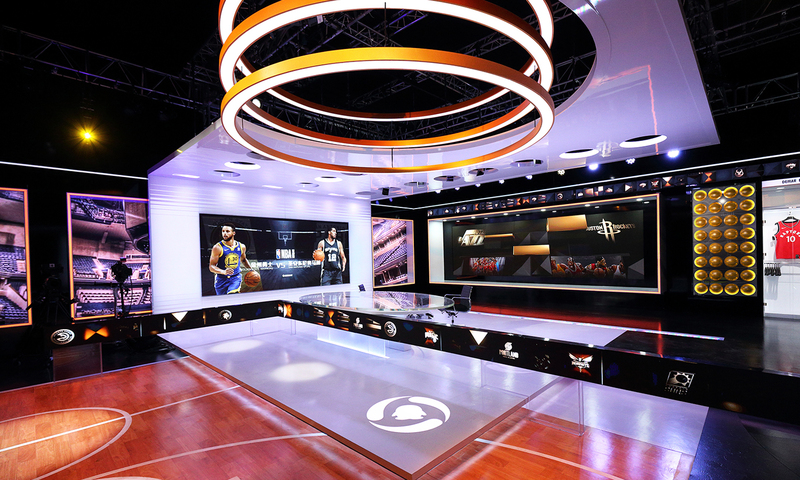 A true blend of media and built environment, the Tencent NBA studio directly aims to give the early pioneer of adopting live streaming content a formidable space to contextualize this enterprise. The main anchor area is defined by a gloss white fold that can be washed with colored LED light and features two of the studio’s main LED walls, behind and adjacent to the anchors. These expansive displays allow the anchors to compliment the live streamed content with a combination of analyses, discussions, dynamic graphics, and augmented reality, thus creating an enriched experience rather than forcing a traditional cut-to-video with anchor voice-over. Diagonally across the studio, five tracking automated panels can either play individually or come together to form a single seamless LED display. 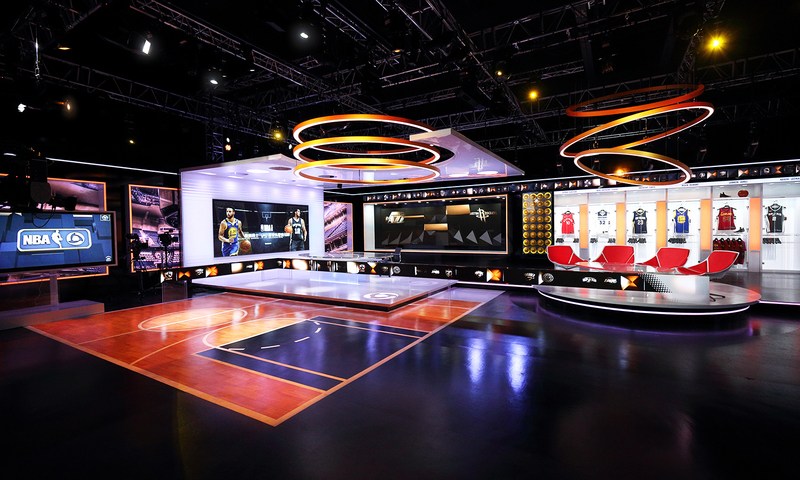 This area becomes the social media zone as well as an opportune location for larger-format, interactive augmented reality extensions, and connects with a custom basketball court floor inlay which welcomes in-studio free-throw contests, both real and virtual. Between these two technology-heavy locales lies a point of respite: an informal interview area backed by star players’ lockers. 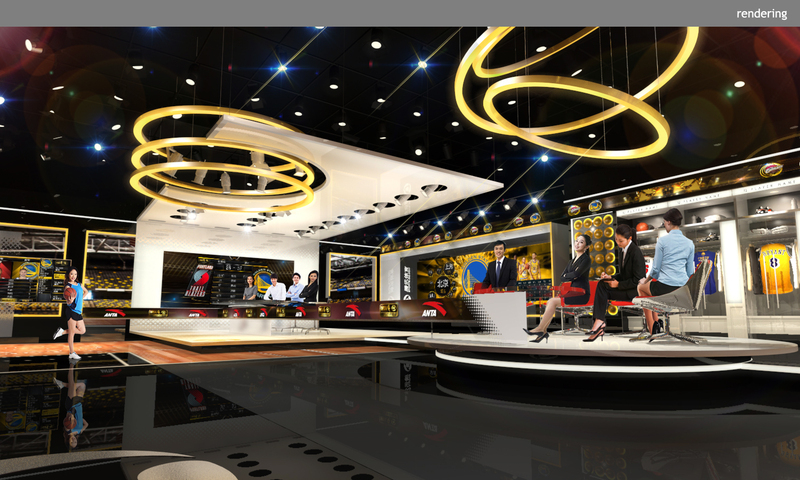 The 275 sq-m set takes formal cues from the intersection of circular and rectangular linework typical of most courts or fields, and aligns with Tencent’s NBA graphics package by allowing much of the floor and ceiling to recede into a dramatic black, while gold acts as a rich accent tone. 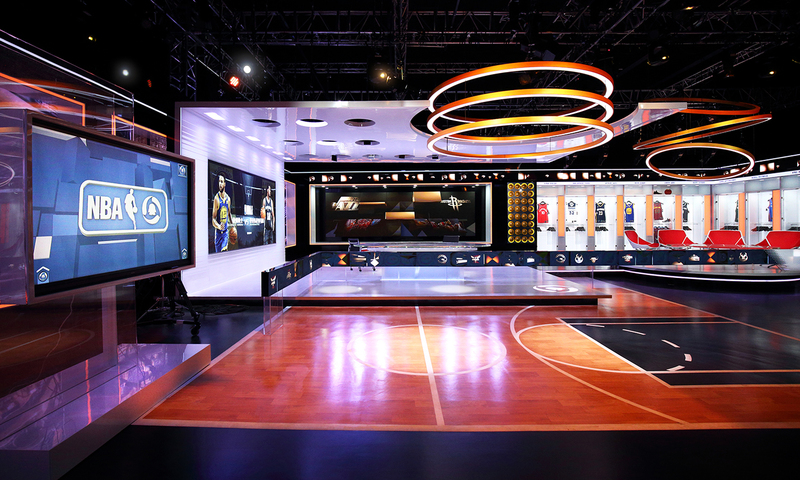 Color-shifting LED washes, lightboxes, and the inherently flexible nature of LED video content facilitates the once-weekly transition of the NBA set to cover European football. 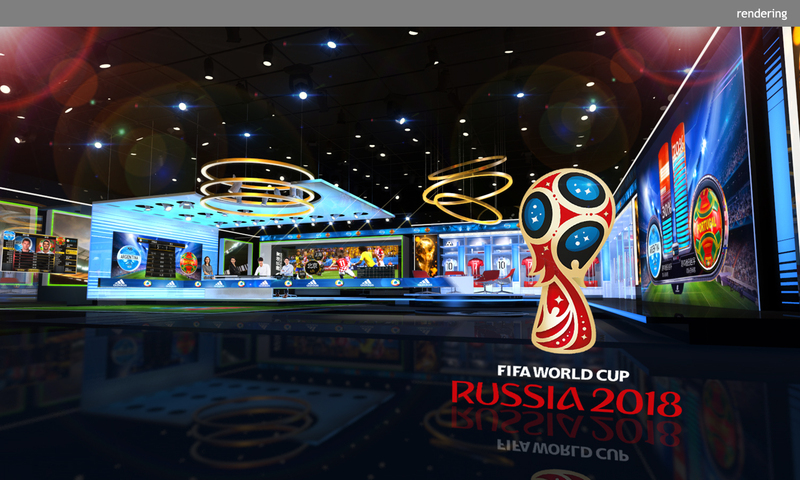 Regardless of sport, the studio’s capacity to layer physical, virtual, and video elements provides the viewer with a unique vantage-point and an experience more valuable than either a standard broadcast or live stream.